In a Nutshell: With The Big Bang Theory headed for Thursday, it's finally time for CBS to unveil the full Monday lineup it will take through the rest of the season. That means promising newbie Kevin Can Wait is thrown to the lead-off spot, while it gets a seemingly compatible companion in the Matt LeBlanc family comedy Man with a Plan. Best Case: Kevin Can Wait was fairly impressive in its 8:30 run, so Man with a Plan finds itself in a very good hammock situation: between a strong Kevin Can Wait at 8/7c and a solid enough 2 Broke Girls at 9/8c. Social media interest is picking up a bit for Man with a Plan, which has doubled its Facebook likes within the last week or so. In a higher-viewed slot, it should be able to build from Kevin early on and end up pretty much matching it on a weekly basis. It also stays ahead of 2 Broke, even as 2BG holds up well in subsequent weeks. 1.80. 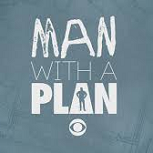 Worst Case: The Odd Couple had a fairly weak return last Monday; if CBS kept Man with a Plan on the bench in favor of that last week, when it could've given MwaP a shot at the Big Bang halo, how bad must it be?! Quality-wise, it is at least as bad as Kevin Can Wait, but with less star power in the lead role. While people will show up on a weekly basis just to watch Kevin James do his thing, that's not happening with Matt LeBlanc, who's been a lot less visible in the last decade. Kevin instantly crashes to low-1's in its move to 8/7c and Man drops another third or more of that. 0.80. Likeliest: Before the season, I expected Kevin to get mid-1's, eventually dropping to low-1's, when it moved to the lead-off spot. I haven't changed too drastically from that prediction, maybe a tenth or so more optimistic. As for Man with a Plan, it seems very similar to Kevin, just with less star power. So I expect it to have reasonable-looking retention when the dust settles, but still be a clearly a weaker link than its Kevin lead-in or 2 Broke lead-out. I don't think this will be anything worth writing home about, but the good news is that it may be an uncommonly soft bubble for CBS comedies; the network might have even bigger issues in both 9:30 slots on the comedy nights. This could come down to how Superior Donuts does at midseason and whether there is enough comedy development to sustain a comedy-heavy sked again. 1.22.